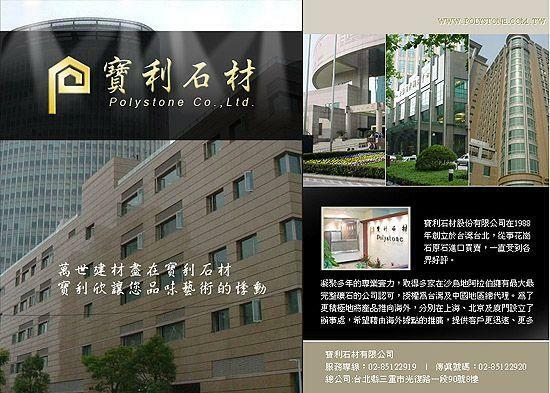 Polystone Co., Ltd. was established in Taipei, Taiwan in 1988. We act as the professional importer / exporter, distributor and agent in the stone industry with favorable recognitions. Sole agency in Taiwan and China authorized by major quarries in Saudi Arabia with wide range of product collection. Branch offices in Xiamen, Shanghai and Beijing, China were established in order to serve the needs of local markets. Multi-efficient and international business services are our goals.